Turkish President Recep Tayyip Erdogan has suggested while addressing his supporters at a rally in Ankara on Sunday, that his country would never get into the EU because it was not Christian. Turkey has been trying to get into the EU since submitting its application for membership in 1987, but negotiations have repeatedly stalled due to human rights concerns, disagreements over Cyprus and other matters. At the rally, Erdogan claimed the EU representatives meeting with the Pope in March was proof that the union was a fundamentally Christian organization. “All the leaders of the EU countries went to the Vatican and listened to the pope submissively. 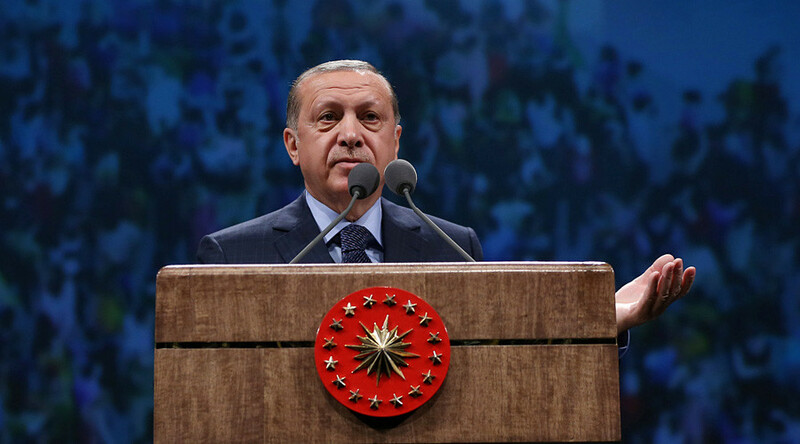 Do you now understand why they have not been taking Turkey into the EU for 54 years?” Erdogan told the crowd on Sunday, referring to the 1963 Ankara Agreement between Turkey and Europe. “The situation is quite loud and clear, it is a Crusader Alliance. April 16 will also be the day to evaluate this,” Erdogan said, as quoted by the Hurriyet. 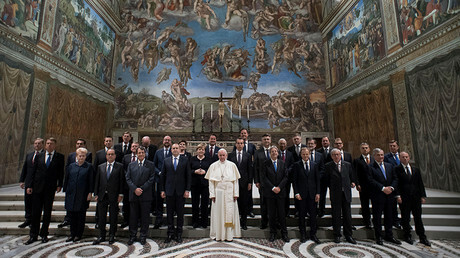 The meeting Erdogan refers to took place on 24 March, when 27 EU heads-of-state met with Pope Francis in the Vatican just before a summit marking 60 years since six countries – Belgium, France, Italy, Luxembourg, West Germany and the Netherlands – signed the 1957 Treaty of Rome, setting up the European Economic Community (EEC), which later gave rise to the European Union in 1991. In recent months, tensions between Turkey and European countries have heightened in the run-up to the upcoming Turkish referendum. Erdogan, along with his ruling AKP party, is currently campaigning for a ‘yes’ vote in the plebiscite which would give the office of the president the power to issue decrees, declare emergency rule, appoint ministers and state officials, and dissolve parliament. Critics of the move say the success of the vote would abolish the country’s system of checks and balances. Erdogan is relying heavily on support from the 5.5 million Turkish citizens living abroad to help him win the referendum. 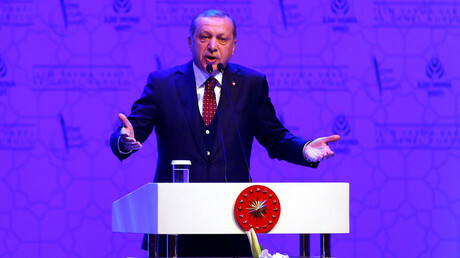 Speaking at an Anglo-Turkish conference in March, Erdogan said that after the upcoming April referendum, Turkey would review its ties with the bloc. "You [Britain] have made a decision with Brexit, there may be different things after April 16," Erdogan was quoted by the state-run Anadolu news agency as saying. "We have a referendum on April 16. After it, we may hold a Brexit-like referendum on the [EU] negotiations. No matter what our nation decides, we will obey it."